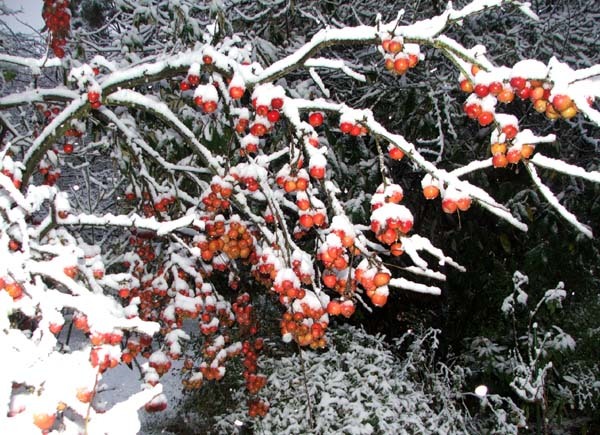 An original Crab-Apple tree, possibly the variety 'Jack Humm', has always been a focal point of the house gardens. 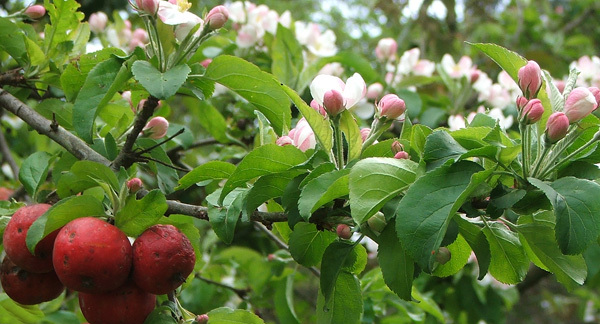 I enjoy the blossom in spring and the bright red apples throughout winter. And I love watching the birds on the tree in winter - the finches particularly like eating the apples, and spend hours flittering in and out. 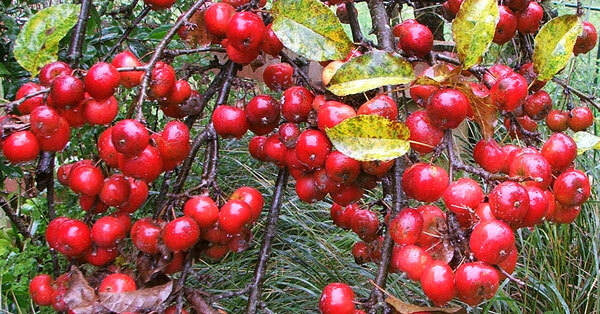 I've been told that Jack Humm crab-apples are sour and that birds generally leave them alone. The colour red is magical in the depths of winter. And particularly in the snow!